We are weeks away from welcoming baby no. 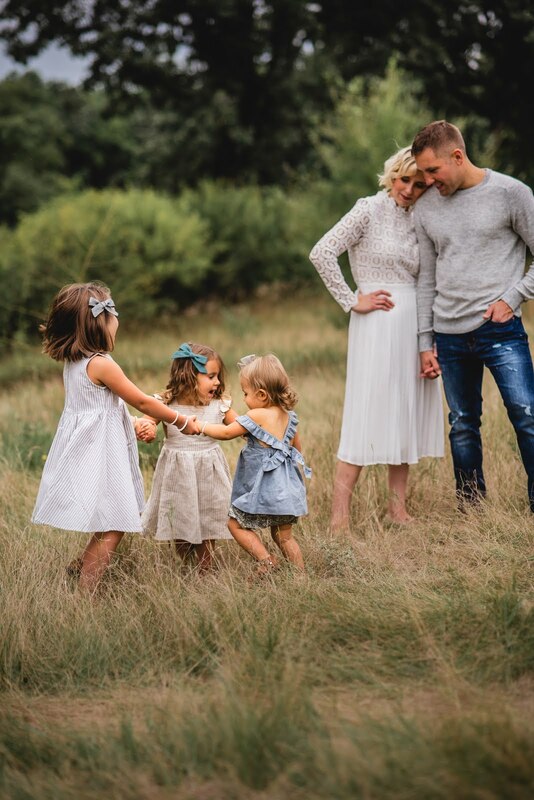 3 and of course I have had so much fun thinking about creating her birth announcements and sending them out to friends & family once she's here. 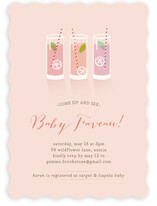 We will also be hosting a Sip & See a few weeks after she is born (which we did for Penelope and had so much fun with!) so I designed invitations for that as well. My go-to brand for all our stationary needs is Minted, an online design marketplace founded in 2007 which sources creative content from independent artists around the world, and then offers those designs as stationary, art, home decor and more. I love their continued support of so many independent artists and wide range of card styles. It was incredibly hard to decide which invitations and announcements to choose since their selection is so vast and gosh they are all just so darling. Below I've rounded up a handful of my favorite invitations for showers and gender reveal parties, many of which can easily be personalized for a Sip & See or Sprinkle as well. We have never done a gender reveal party (maybe we will if we have a fourth...someday) but I absolutely loved the "What Whale it be?" invite (8) for that. 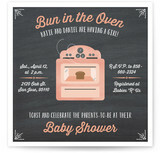 As for baby showers, there are so many lovely invitations that are easily customizable by color or gender. A lot of their invites have 2-3 different color options (sometimes more) and the process of personalizing cards through Minted is so easy. 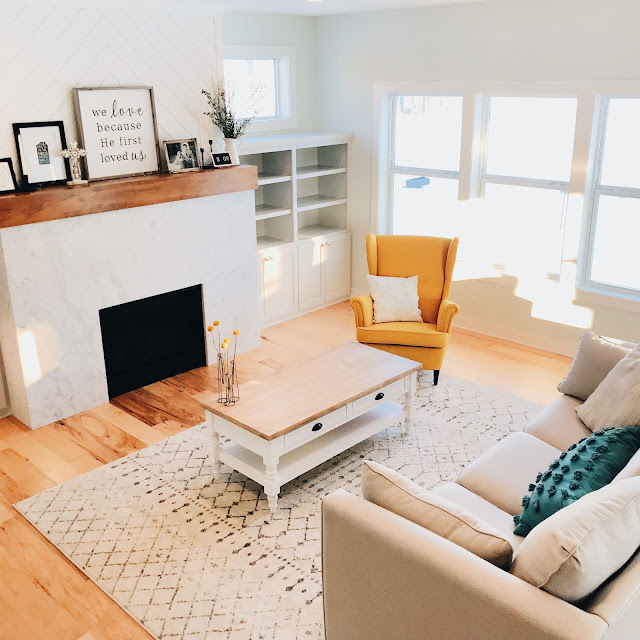 I love the simplicity and modern look of the black and white Oh Baby! invite (1) and my heart melted over both of the designs incorporating Twinkle Twinkle Little Star (2 / 5), probably because that is Poppy's absolute favorite lullaby and I sing it to her every night; I just thought they were both so sweet. The nesting dolls invitation (6) is so colorful and eye catching and I love the idea behind it because I feel like whenever I am pregnant (and even when I'm not...) I'm constantly nesting and coming up with more projects, house renovations and things on my to-do list before baby arrives. Ha. 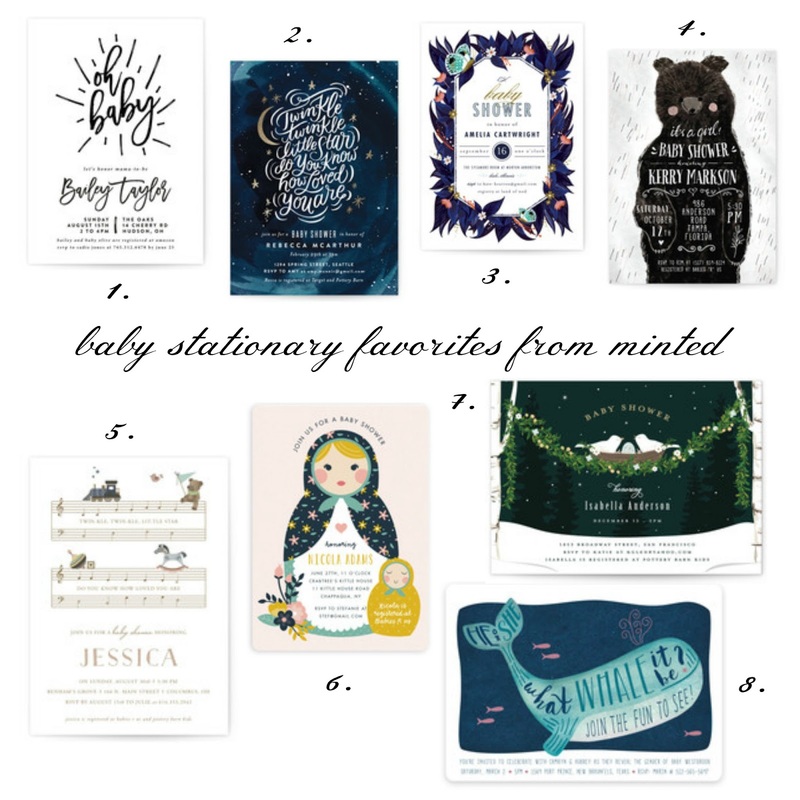 My husband loves that, as you can imagine ;) I also love the storybook garden invitation (3) and how whimsical it is. 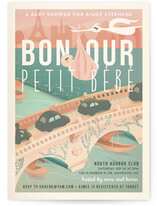 I thought the graphic on this bonjour baby one was so much fun -- something I would definitely frame & hang in a nursery after the shower as a special keepsake. 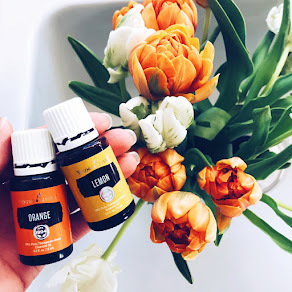 I also loved this bun in the oven invite and for a Sip & See (especially as Spring and Summer approach), I love this lemonade one, which comes with three different color options. For birth announcements, I am always drawn to their foil-pressed designs, especially the really classy & simple ones with a single photo. This gilded garden one caught my eye because of my love of floral, and so did this golden posey one. This storybook one is absolutely stunning as well and such a unique way to present the announcement.